Equal opportunities for women and men in the labor market need to be improved in every respect. This is also in the interest of SMEs, which represent 99% of businesses in BSR and provide up to 70% of all jobs. Already today, their growth is severely limited by the constantly increasing lack of skilled workforce. Through a greater labor participation of women particularly in leading positions innovations will be strengthened. All three goals of this project, strengthening innovation, promotion of SMEs and in particular female entrepreneurship are explicitly mentioned objectives of the EU Strategy for the BSR. The project directly derives from the BSR-QUICK project, carried out by the LP with 39 partners. The flagship project QUICK is in the EU strategy for BSR (12.2). 6 QUICK partners and 7 new partners with extensive experience of gender and innovation contribute to QUICK-IGA. 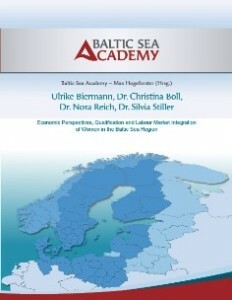 QUICK-IGA is part of the EU Strategy for the Baltic Sea Region. Lack of qualified staff is one of the main reasons for SMEs to not being as innovative as possible. At the same time the available human resources (HR) are not fully employed. In the Baltic Sea Region (BSR) the labour participation of women and elders is very low particularly in the countries south of the Baltic Sea. The employment rate of women ranges from 53% in Poland to 74% in Norway, the rate of older people from 32% in Poland to 70% in Sweden. Working and organizational forms that enhance innovation capacities encourage the employment of women and elders vice versa. This project supports the development of working and organisational structures in SMEs in order to increase the employment rate of women and elderly and concurrently increases innovation capacities (Priority 1.1). Concrete solutions for a strong BSR to be developed: increasing the innovation potential through adjusted working and organisational structures and increased number of employed elderly and women, decreasing regional disparities, improving innovation absorption capacities also in rural areas through specific solutions for each spatial type (e.g. rural areas, areas with development centers, agglomerations etc. ), responses to demographic challenges, supporting innovation of SMEs.